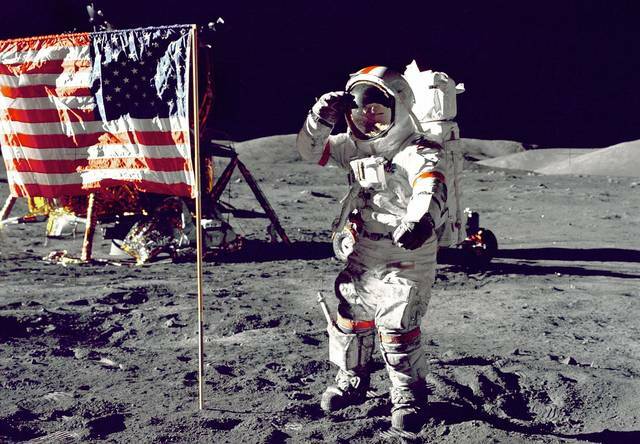 WAPAKONETA — To prepare for the moon landing’s 50th anniversary, Wapakoneta citizen groups and local governments are looking for input in the creation of a scenic byway meant to highlight the boyhood of the town’s local hero, Neil Armstrong. In its current form, the byway will be an 8.3 mile-long stretch connecting Armstrong’s boyhood home, the former Port Koneta airfield where Armstrong learned to pilot aircraft and the Neil Armstrong Air & Space Museum. Originally brought to the attention of Wapakoneta’s Streets & Alleys Committee by Tom Wehrhahn, Wapakoneta Councilor Chad Doll said the project would be a relatively cheap and easy way to show off the story of Armstrong in Wapakoneta. The cost would consist of setting up a few signs to point out to drivers where the byway leads and potentially installing plaques outside of designated stops to explain what visitors might be looking at. Doll said a side benefit would be the byway’s ability to pull visitors of the museum into Wapakoneta, which would encourage more tourism traffic to visit the city’s downtown area. The current draft of the plan includes only three stops, but Doll said he welcomes public input on what Wapakoneta residents may suggest to expand the range of the byway. A public hearing for stakeholders and anyone interested is scheduled for 7 p.m. Wednesday at Wapakoneta City Hall. Doll said he invites comment on the project and is interested in hearing what kind of ideas the public might bring to the table to improve the byway management plan. As for the timeline, Doll hopes to have the final plan drafted and ready for submission to the state in order to be qualified as a scenic byway by Ohio. After that, the city is looking to ensure any additional signage is installed before the 50th anniversary of the moon landing in September 2019. “We anticipate an increase in visitors next year, and this doesn’t require a lot of upfront financial investment,” Doll said.